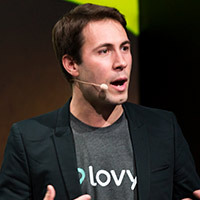 Lovys is the first 100% digital, all-in-one and flexible insurance provider in France. We are redesigning the user experience of insurance, so it becomes simple, transparent and personal. One single interface, one single monthly-subscription for all the insurance needs we have. After 6 years at Morgan Stanley London, Joao Cardoso founded two startups in Brazil: TaCerto, which is an insurance comparison website that has sold more than €10 million, and VisionX, a platform for home insurance targeting real estate agencies with over 500 agencies onboarded.